With seating for 250 people, you can let nature be the back drop for your big day with an outdoor wedding ceremony in our beautiful NEW Wedding Gazebo. 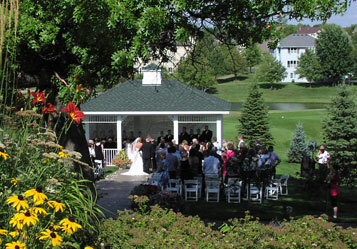 Nestled among trees and shrubs on the course providing you with your own “secret garden” for your I Do’s. Construction of the Expanded Practice Facility is complete. The practice area now has 20 functioning driving range stalls and a 4000 sq. ft. bunker with a target green. Also available is our 8500 sq. ft. practice putting green making us one of the finest practice facilities south of the river. 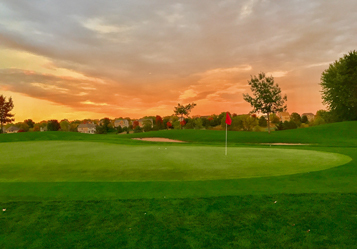 This 18-hole, par 71 course has four sets of tees ranging from 4805 to 6306 in yardage and offers gently rolling hills and natural reclaimed Minnesota wetlands to challenge all levels of golfers. 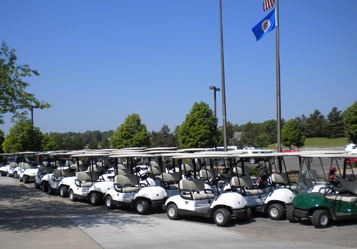 Crystal Lake Golf Course is honored to be one of 23 courses in Minnesota that has qualified for ‘Certified Audubon Cooperative Sanctuary’ certificate. This honor requires a high degree of demonstration in multiple areas including, environmental planning, wildlife & habitat management, integrated pest management, water conservation, water quality, outreach & education.